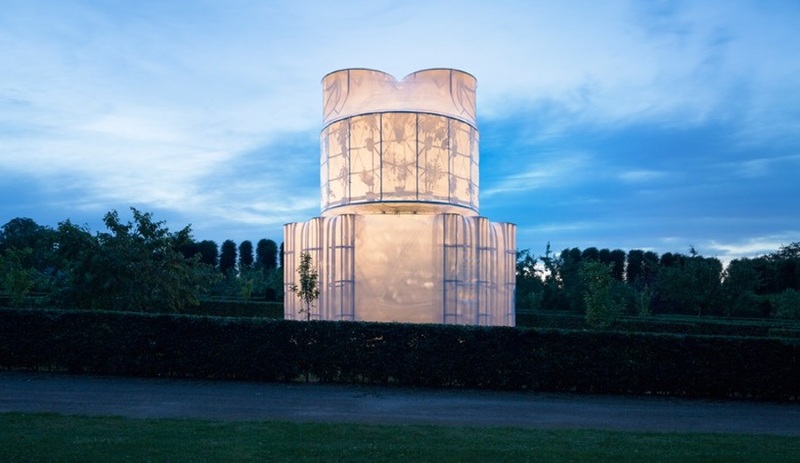 This temporary pavilion will spend the summer months in the Baroque garden of the GL. Holtegaard Art Gallery. 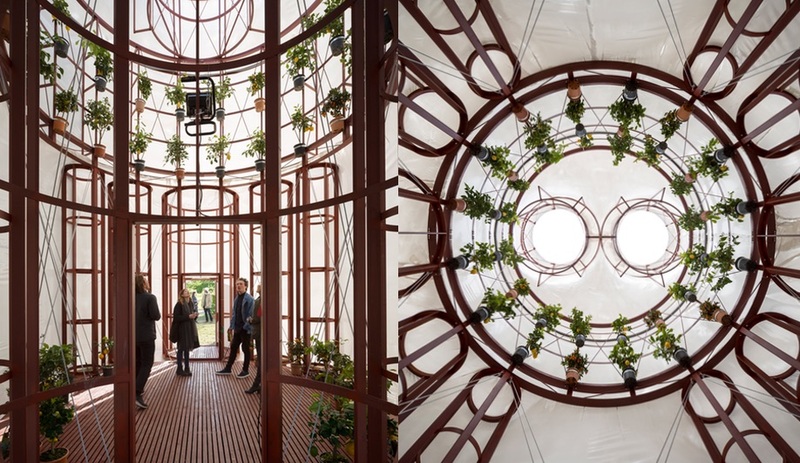 The plastic-wrapped steel structure borrows its floorplan and circular forms from Italian churches of the same era, and is ornamented with hanging citrus plants. 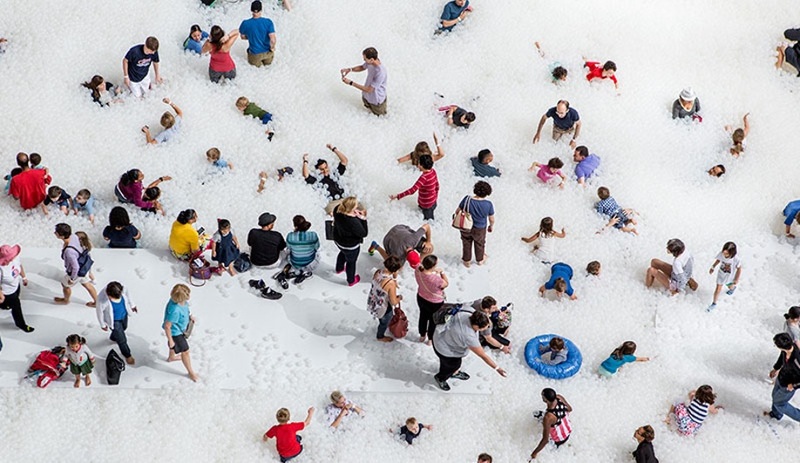 2 The Beach, by Snarkitecture, in Washington, D.C.
Well, it’s not exactly the beach, but it’s just as fun. This year’s interactive installation at the National Building Museum should prove as popular as the massive maze that Bjarke Ingels created last year to fill the great hall. 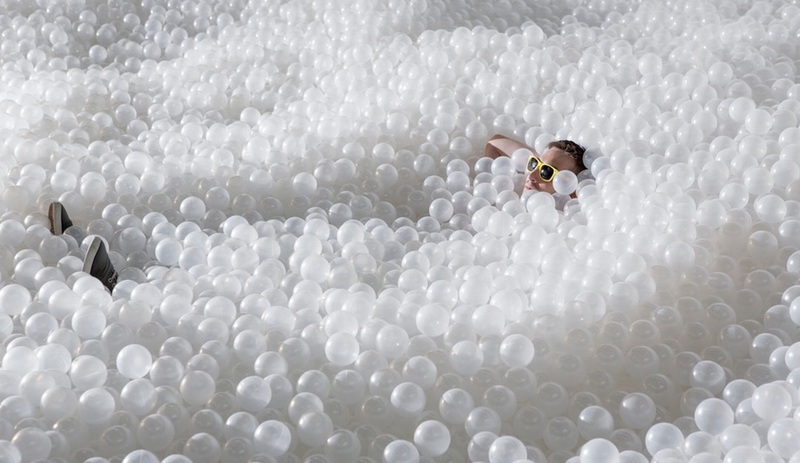 The Brooklyn studio Snarkitecture has filled a 929-square-metre vault with a sea of translucent balls and framed a shoreline around it with deck chairs and beach umbrellas. Dive right in! 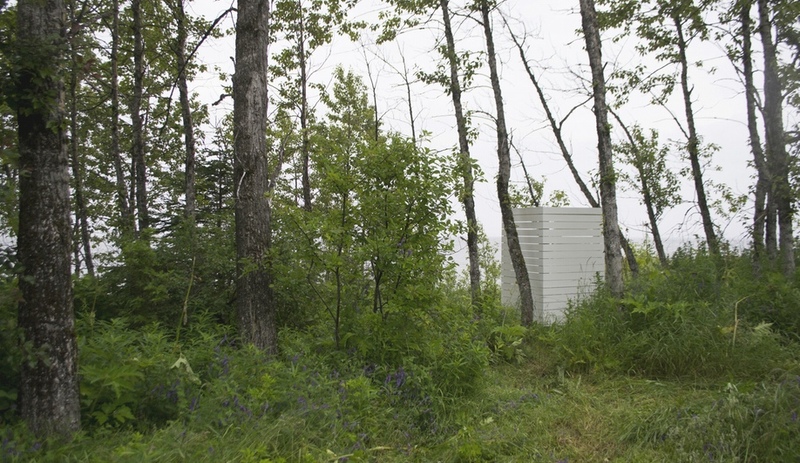 The annual Jardins de Métis festival (open till September 28) is an opportunity for landscape designers and architects from around the world to show off their conceptual chops. 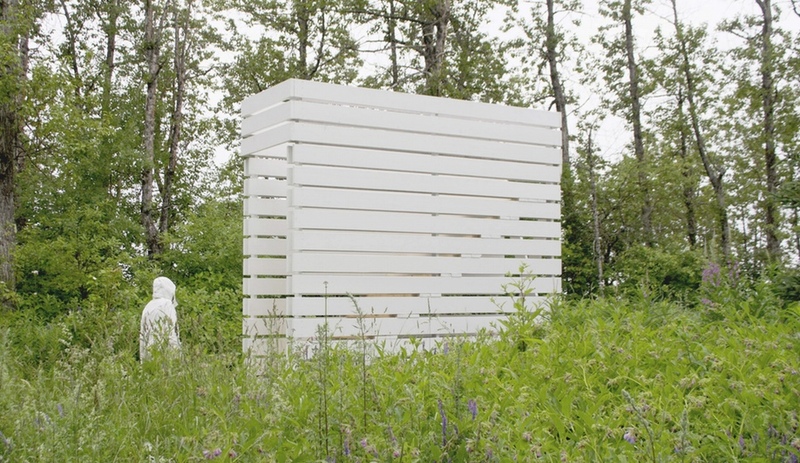 This summer, Quebec architect Pierre Thibault presents La Chambre Blanche, a series of white rooms presenting the firm’s work and process in innovative ways. One of them will screen the Denys Arcand film Le règne de la beauté (An Eye for Beauty) – which was filmed inside many of Thibault’s residential projects. 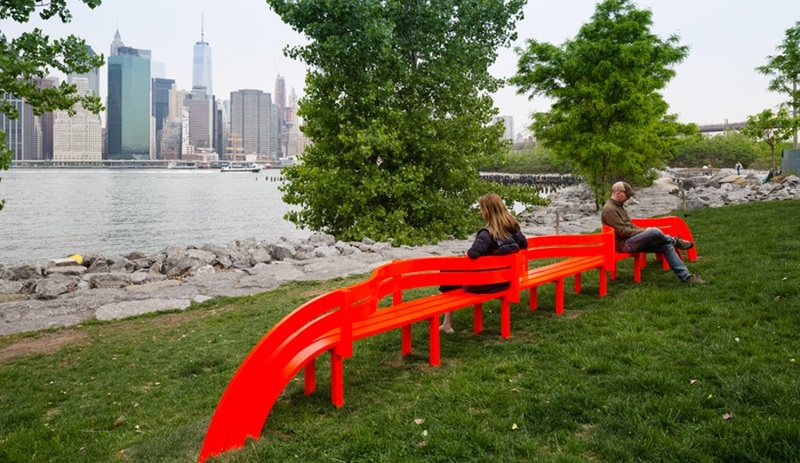 The Danish artist has 18 works installed in the Waterfront Brooklyn Bridge Park for a Public Art Fund exhibition that runs until April 2016. 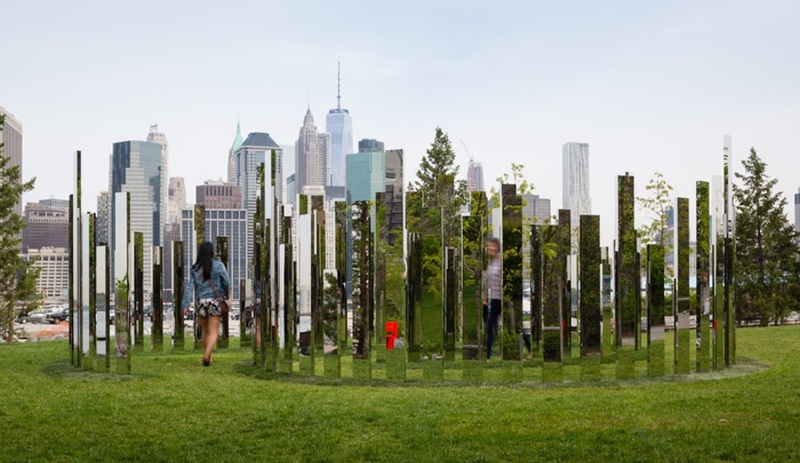 The pieces include a labyrinth of mirrors, a “room” formed by a grid of spraying water, and a series of bright red benches that encourage social interaction. 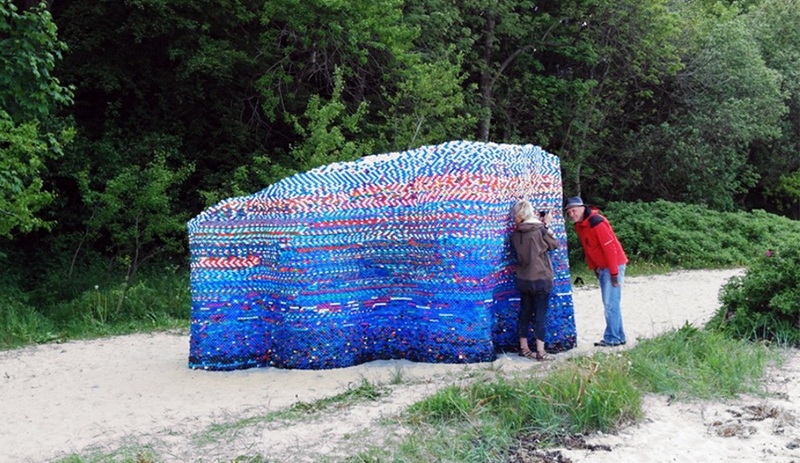 Over 70,000 discarded bottle caps, collected from cities all over the world, are stacked and strung together with steel wire to form this beach pavilion, part of Sculptures by the Sea. 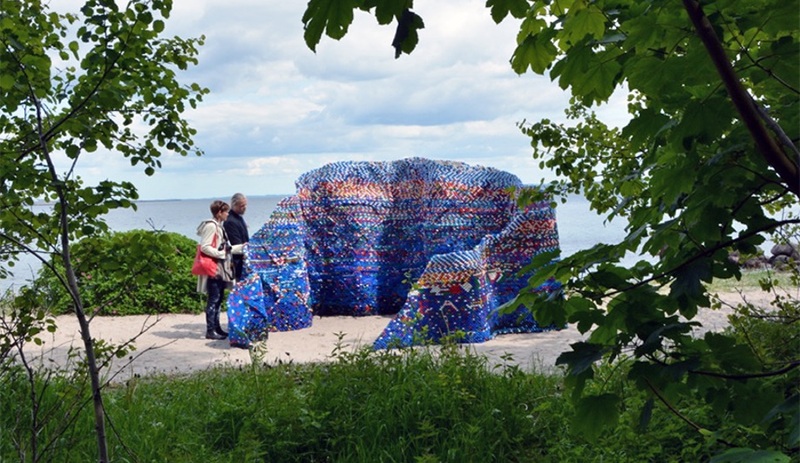 Bright and welcoming, the horseshoe-shaped form is meant to illustrate the negative effects disposable materials have on our environment – and serves as a friendly deterrent against littering.